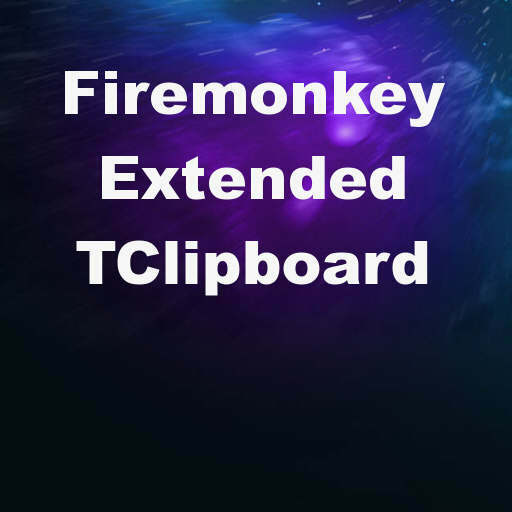 Developer Chris Rolliston has released a new version of his extended clipboard component (CCR.Clipboard) for Delphi XE8 Firemonkey. Some of the extended functionality that it provides is delayed rendering, virtual files, change notifications, and inter-process TClipboard-based drag and drop depending on the platform. The Android support is limited to just text but on Windows, IOS, and OSX custom formats, copying and pasting text, components, graphics, files, and URLs are all supported. If your app is working with the clipboard at all this is a very useful enhancement to easily bring a lot of added functionality. We’ve covered this clipboard library before for Delphi XE5 and this is a new version of that. The source code is available for free from Github and it should also work in Appmethod. There are 8 different demos showing how to use the functionality (including a VCL demo). Also check out it’s wiki on Github for more documentation. Head over and download the multi platform extended clipboard source code for Delphi XE8 Firemonkey.